You read it right… $300 Pay Pal Giveaway! I know you’re excited, who wouldn’t want some extra play cash?! But that isn’t all! 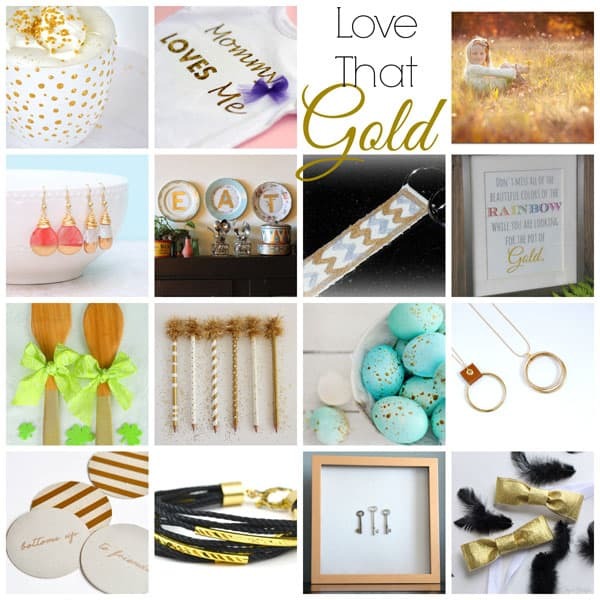 This pot is oozing with gold, not only are we giving away cash, but we have 15 gold projects to go along with it! Just hop along, leave some love, and you could be rolling in your very own pot of cash! 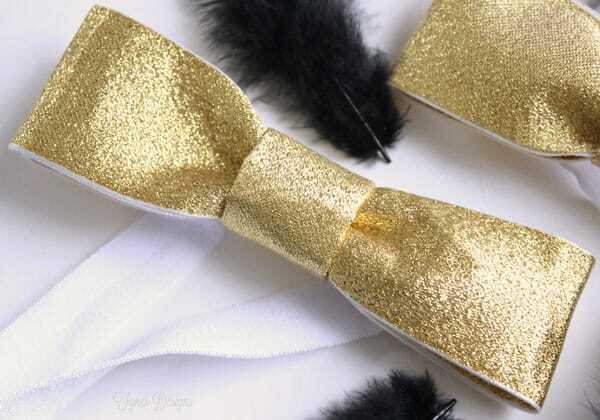 For you today I have a little No Sew Bow Tie tutorial. 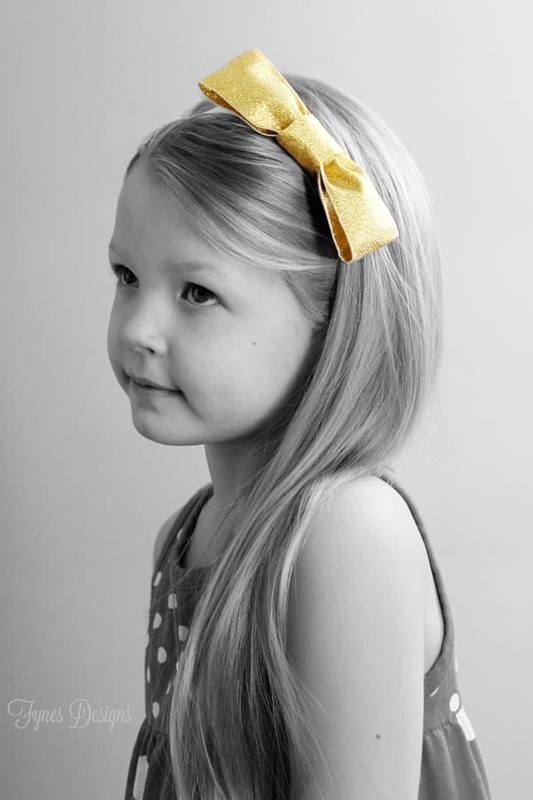 It is super easy and if you don’t have a little gent, you can extend the elastic a few inches and it becomes a sweet hairband for your little lady, double whammy! Lay the interfacing onto the ribbon and iron down. Iron fusible web to the the interfacing, remove paper. Lay second strip of ribbon onto the pile, iron in place. Your ribbon sandwich will now be ridged. 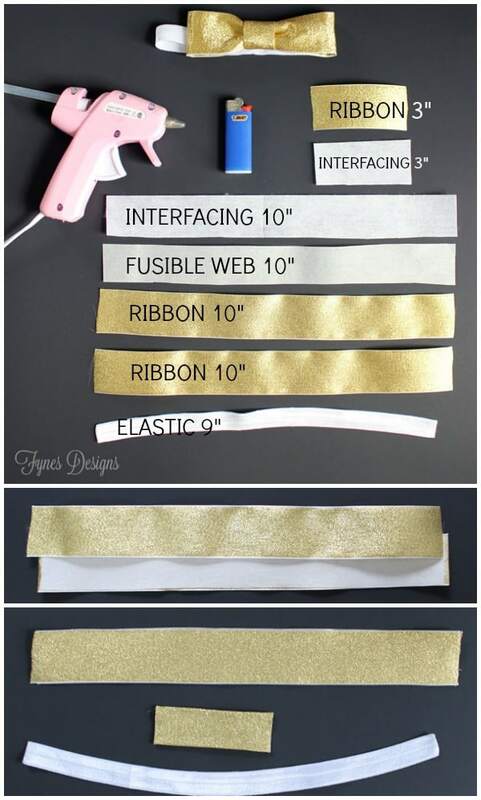 Iron interfacing onto the 3″ribbon. Using the Hot glue fold in each side of the 3″ strip to make it appear narrower. Fold each side of the long strip to meet in the centre, hot glue in place. Pinch the ribbon in the middle folding the edges to meet on the wrong side. Holding the centre in place fold the edges back up to meet the fold. Hot glue between the folds to hold. Glue the 3″ strip to the back side roll around the centre of the bow and hot glue to conceal the elastic. Cute, little bow tie right?! Sooooo easy to make! Stand back ladies, take a number! This no sew bow tie tutorial is perfect for St. Patty’s Day, certain to compliment any little leprechaun or leprechauness! Don’t my little Irish cuties look great in their gold accessories?! These bows makes a great birthday gift, baby shower idea (just cut the pieces all a bit smaller), or just to deck out you sweeties! All that is pretty rad, but here is the best part! Enter Here to WIN $300 Pay Pal COLD HARD CASH!! Still haven’t seen enough gold? Check out this Gold Polka Dot Toolbox makeover! Oh these are super cute! They are perfect for a party photobooth! WOW Virginia!!! The bows are fabulous!!! Your kids are just too adorable!! Pinned!!! 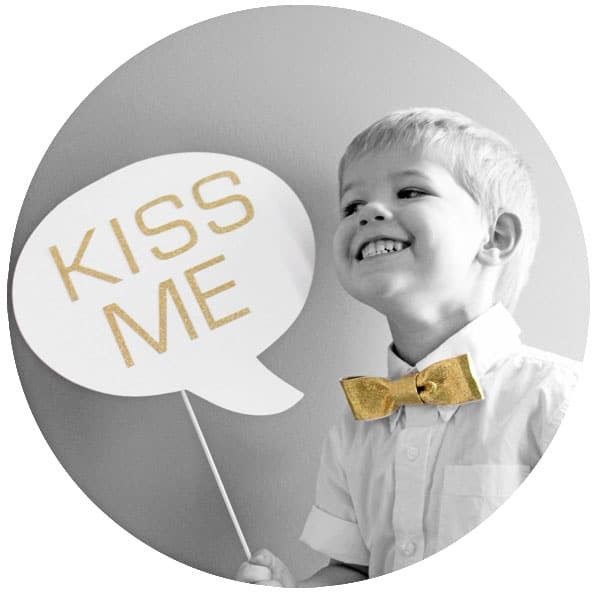 So cute bow tie and your kids too:) It’s very easy to do…Thank you for this tutorial! 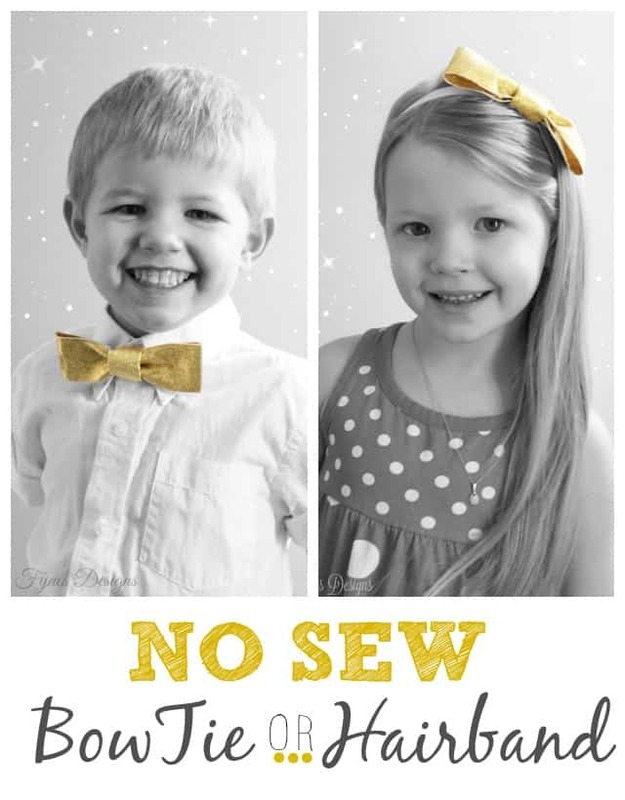 These are the cutest Virginia – I love a great no-sew project! And your kids…adorable! Adorable, but I think your kids take the cake! How cute are they! Pinning! Love this tutorial! So cute! No sew = my kind of project. These are adorable and so are your kiddos! How adorable are these kidlets, Virginia? 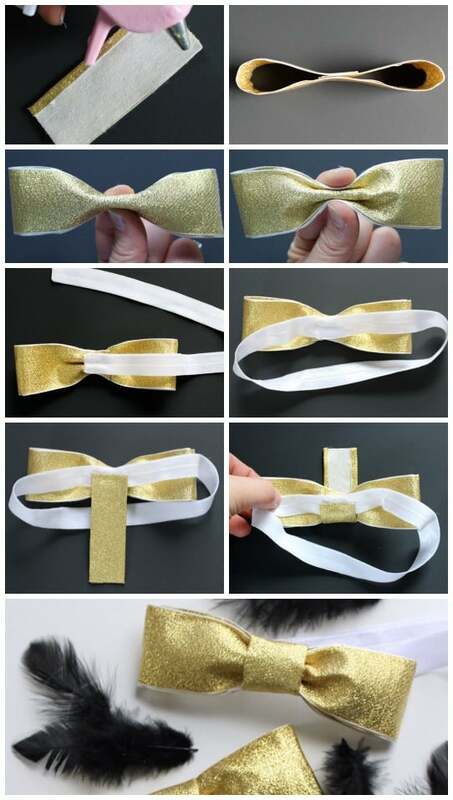 I love this bowtie tutorial! I know how to make those sweet little bows now! Pinning! How cute! Love that it’s no sew! So darling!!!! And I love your little models! Pinning for sure! And thanks so much for sharing at the Super Saturday Link Party!